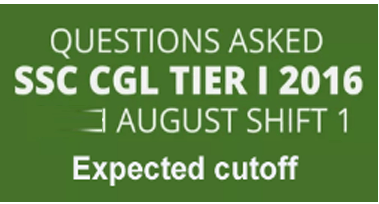 Now Candidate Check SSC Combined Graduate Level (CGL) Shift Evening and morning General Awareness Asked Questions of 31st August 2016. Question Related to Number Series – 2 questions, easy. Question Related to Averages – 2 questions. Question Related to Speed and Distance – 3 questions. Question Related to Geometry – 4 questions, easy to moderate. Question Related to Bar Graph/Chart – 5 qs, easy. Question Related to Trigonometry – 3 questions, moderate. Q: India’s volcano is at? Q: Barren islands is in? Q: In IT failure of Kernel means? Q: Polio caused due to? Q: People of Indus valley used to worship? Q: Pellagra & Scurvy diseases caused due to deficiency of?